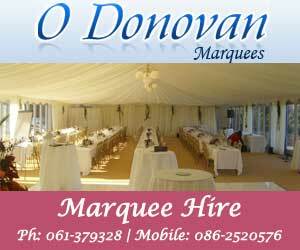 Belfast Mobile DJ playing the biggest tunes from all the decades for Weddings, Birthdays, Christenings, Kids Parties, Corporate Events, Anniversaries and much more. If you need a mobile DJ or mobile disco in Belfast, Bangor, Dundonald, Newtownards, Ballymena, Carrickfergus or anywhere in NI, book with DJ George Welsh to be assured of professional, fun service with great pricing and loads of very happy clients. George Welsh has been entertaining audiences all over the UK for over 20 years and has experience including being a Butlins Redcoat and being resident DJ in many prestigious clubs throught N Ireland. His longest residency was in Dundonald International Ice Bowl, having been there for nearly 10 years playing alongside some of N Irelands best known radio DJs. George has played in most hotels and conference facilities along with all the main bars in N Ireland and can accomodate most venues individual requirements. George prides himself on the quality of music he plays including all the biggest hits from the most popular decades and all the most recent chart / club and popular music of the present day. You wont find anyone with a larger LEGAL music collection than DJ George Welsh! If you need a DJ in Belfast who can play for any type of audience whether a small intimate family gathering for something like a christening, or a grand occasion such as your wedding disco, DJ George Welsh is the perfect DJ for you. Having played many many functions of all types, George is sure to have the right experience and can play exactly what you want to hear to get you and your guests dancing. Book DJ George Welsh for your wedding disco and you will not be disappointed. From the easy booking process to the way in which all your special requests and guests are dealt with and to the no-fuss approach, you will be happy to leave such an important part of your special day in the professional hands of George. "DJ George Welsh, 3 Lochinver Drive, Belfast, BT5 7AJ. Wedding DJs in Northern Ireland"